Andrea's Wellness Notes: Do You Want to Get to Know Me Better? oh... it's so sweet from you Andrea! 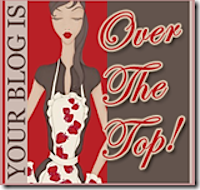 I'm so touched by your nice words about my blog! Thank you!!! we have so many things in common... Tj's, pink color, family, cable-less, favorite place to eat... hahhaha.....so cool! I didn't know you grown up in Europe, which part? Well, it's nice to get to know you a little better. I've learned so much about you today! Oh so sweet and fun to know - thanks for sharing! Thanks for sharing, Andrea, these are fun to read! i'm not wearing socks right now too! my fav place to eat is also home. no food is better than home made food! I love all your answers - especially the no cable tv. I can't get my hubby to give up Turner Classic Movies yet! Hey! I love your blog and just started my own: www.healthygaleatingwell.blogspot.com. I'd love if you and your readers would check it out! My wish list is books, too :) And I could guess your favorite color ;) But I did NOT know you grew up in Europe! What?! That is so cool.